I think of myself as similar to a bug man. Think about it for a second — what would be the perfect testimonial for a bug man? Who on earth is going to sign their name to that testimonial? No one wants to admit to their friends and neighbors that they had such a terrible roach problem in their home. I have a similar challenge as the “bug man” for membership programs. It’s hard for my clients to admit they need help. For membership marketers, their number of paid members and number of dropped members each month, as well as their rate of membership program growth, are very personal. They are often afraid to share, and they definitely don’t want their friends and members to find out they are losing as many members (or more) than they are generating each month. Going clockwise on a roundabout at 50 mph is really scary. In Ireland, everyone drives on the left side of the road. And there are a lot of roundabouts, even on highways. Yet, after I got used to the left, I actually enjoyed it. In fact, I think it feels more natural to drive on the left-hand side of the road. When I mentioned this to Perry Marshall, he told me, “Rob, you should run for president of the United States. Your platform can be ‘driving on the left and bringing back the metric system.’” What do you think? Are you ready to contribute to my presidential campaign? 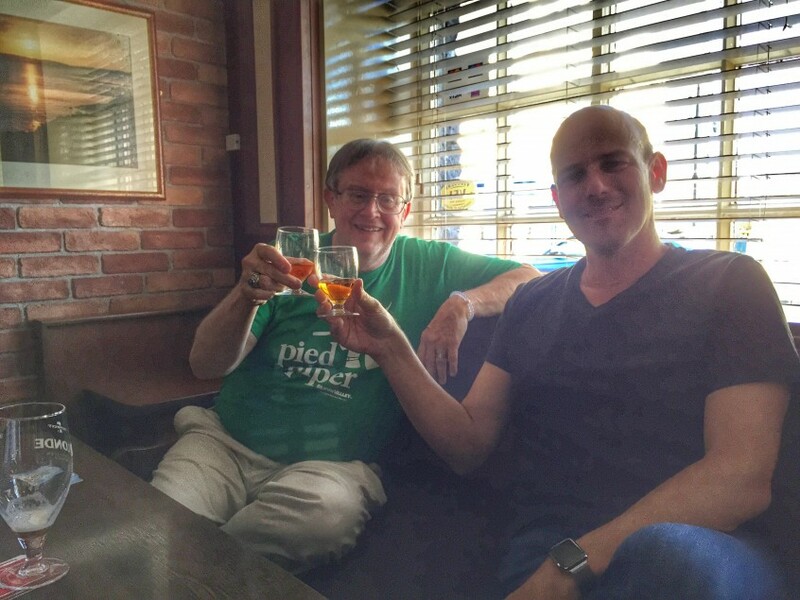 Back in October 2014, I jumped at the chance to join the group Perry Marshall was leading to Ireland this summer. My friend Bill Hammond, an elder law attorney from Kansas City, Kansas, was going, along with a group of Perry’s coaching members and clients. But I almost didn’t get to go at all. In fact, just a few weeks before the trip was scheduled to leave, I’d given up on the opportunity. I began consulting with the Florida Farm Bureau Federation earlier this year. The FFBF is an association with 147,000 members. My project was to create a membership marketing plan. Their goal is to increase membership to 155,000 members by October 2016. However, the association’s board of directors had some concerns before they were ready to hire me to implement their marketing plan. To answer their questions, they asked me to attend their next board meeting. Problem was, the meeting was right in the middle of the Ireland trip. I figured the Ireland trip was lost, and I’d make the best of the opportunity to speak with the FFBF board. Yet, that wasn’t the end of it. When I told my wife about my decision, she wouldn’t have it. She insisted that I go and offer to answer questions by phone, from Ireland. Thankfully, the team at FFBF was very accommodating; they invited me to record a video and be available to answer questions. To dial in at 3:30 p.m. Florida time, I had to call at 8:30 p.m. from Ireland. There was no cellular service in the remote B&B where were staying in Galway, Ireland, so I found a park next to a boat launch next to Lough Corrib to park my car and dial into the call. Good thing — there were a ton of questions, and I was able to answer them from this lakeside park in Ireland. As it turned out, the situation with the Florida Farm Bureau Federation was interesting and a bit ironic because the FFBF has a benefit that most membership marketers can only dream about yet they still have a challenge fostering a strong relationship with new members. The FFBF offers auto and homeowners insurance that’s only available to members of the association. It’s one of those “utility” benefits I hear so many marketers striving to create. It’s a benefit with such an economic benefit that members will retain their membership forever to maintain access to the benefit. Yet, the Florida Farm Bureau Federation has experienced the unfortunate downside of utility benefits. Many members aren’t engaged; instead, they behave like customers, as the only reason they are members is to access one program. Few for-profit marketers recognize the downside of these utility benefits on the culture of their membership. In the long run, these programs zap the life out of your membership program. Economic benefits alone are not sufficient for building a membership. At that point, you are just exchanging a service for money. The key difference in membership is a relationship. There’s a bond with you and your members beyond the simple exchange of stuff for money. I’m glad to say the FFBF approved my marketing plan, and I’ll share the results with you as we implement the program over the next 9 months. Standing at the boat ramp next to that lake in Ireland, I reflected on the call. I am pleased I was able to allay FFBF’s concerns, answer their questions, and lay out a new vision for the relationship we are going to forge between their organization and its members. Since I’ve returned home, I have reluctantly adjusted to driving on the right-hand side of the road again. I did so much enjoy driving on the left side. Let me know what you think about my presidential platform. Like me, I’m sure you are eager for the opportunity to drive on the left and use that metric system!